We included GLBS as a part of our extended watchlist yesterday after noticing that the stock had produced a solid session on Tuesday. 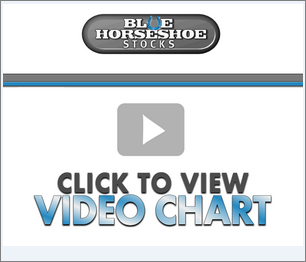 Our hunch that the run could continue proved to be good, as the stock posted another nice intraday performance. GLBS traded in a range from a low of 5.122 to a high of 8.769, a move of 71% and it came on more than seven times the monthly average volume. We’ll keep a slot on our watchscreens reserved for GLBS in the event it maintains its upward momentum and strings together a multi-day run. We’ve continued to follow AGHI as it has seen some consolidation over the past few sessions, and the lower it has crept, the more attractive it has begun to look as a bounceplay opportunity. If you notice on the included chart, the stock has a recent track record of making a serious run-up from current PPS levels. The last time it traded below a dime, that was followed by a huge pop to more than .20. That’s just the kind of rebound we’ll be looking for as the stock searches for support. In conjunction with buyout rumors that have been swirling around Twitter, we happen to like the look of the present chart, and thus we’d like to formulate a corresponding options idea. 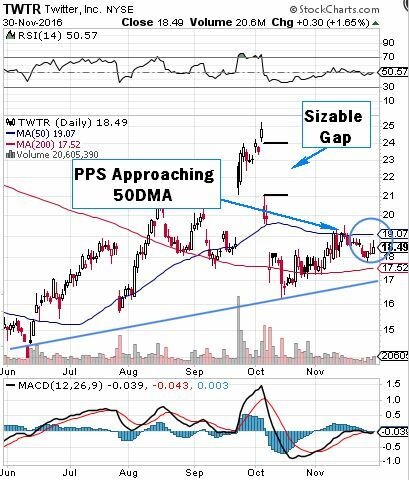 We’ve had a reasonable amount of success with the TWTR options chain in the past, and current conditions seem favorable enough to signal an extended-term idea today. 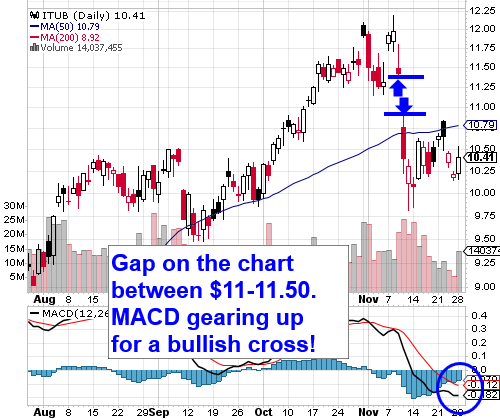 We’re going to place the TWTR 01/20 $19 and $20 Calls for the time being, with the added caveat that a buyout actually coming to fruition would very likely necessitate an adjustment to our strike prices. 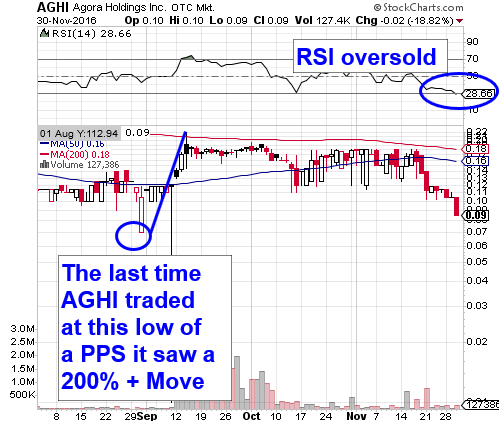 We’ve got a new item of interest to present this morning in the form of AGHI, and it’s one with both an interesting story, and a solid current chart setup to back it up. This will be the first time we’ve ever mentioned this hidden gem in any of our reports, but just based off of our initial impressions, it won’t be the last. Part of the attraction we’re experiencing here is due to the focus of AGHI‘s primary subsidiary, Geegle Media, and the cutting-edge market space in which it operates. Digital media streaming services are disrupting the long-standing foundations of the entire entertainment industry, and changing the way people consume media. The streaming business isn’t small potatoes, either- currently estimated at more than $30B annually, that figure is expected to grow by leaps and bounds over the next several years. Even capturing a small share of that market would mean big things for AGHI and its video-on-demand platform Geegle TV over the long term. Geegle combines several basic elements of many of the most popular media streaming services: TV like Hulu, movies like Netflix, and music like Spotify. The result is a concept we really think could turn some heads. 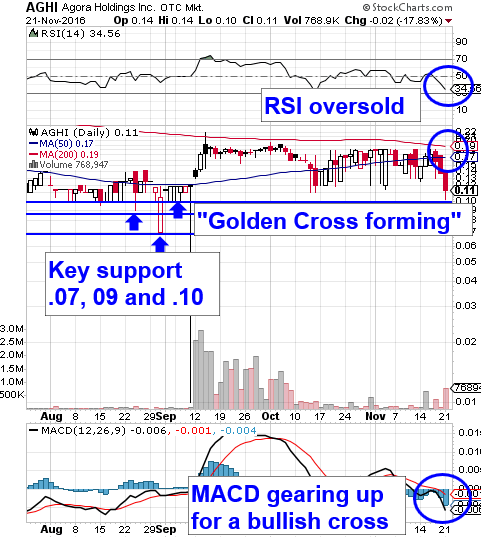 The potential we see in AGHI for more technical reasons makes it an attractive play in the short term as well. The last time the stock was this oversold, less than six weeks ago, it bottomed out at .11 and subsequently broke out to .18. That’s a 64% upswing. Now trading down near its 3-month lows, we like the prospects of a similar swing producing commensurate, or perhaps even larger gains on the rebound. In addition to the various strengths we’ve pointed out here, there’s always the looming possibility that AGHI gets approached at some point with a buyout offer on Geegle Media by one of the sector’s larger competitors, which of course, would be an absolute game changer. That being said, we like AGHI on its own merits, and will be very interested to track its progress in the days and weeks ahead.